I'm sure most keen cyclists have had the situation in the past where their bike lights have failed at the least convenient moment. 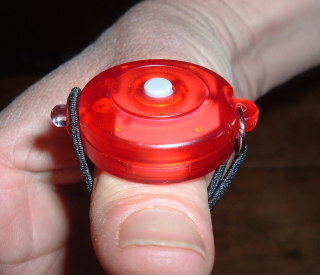 I recently came across these emergency bike lights. After using them a couple of times myself, I decided they were such a good idea that I should offer them on the website. 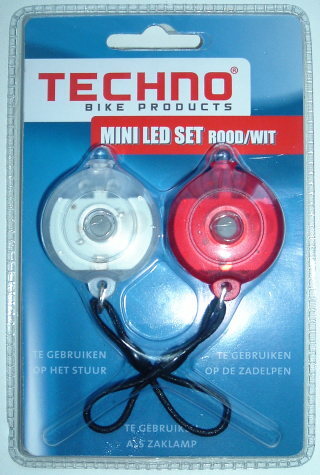 The lights come as a set of two, complete with (replaceable) batteries and can be connected to handlebars, seat pins, baskets, or other parts of the bike using the elastic cord attached to each light. They probably don't pass legal requirements for cycle lighting in your country, so use them at your own risk. I carry them as emergency lighting. They will also attach to rucksaks, dog collars etc. Now available in our webshop, along with other lighting options that we recommend.